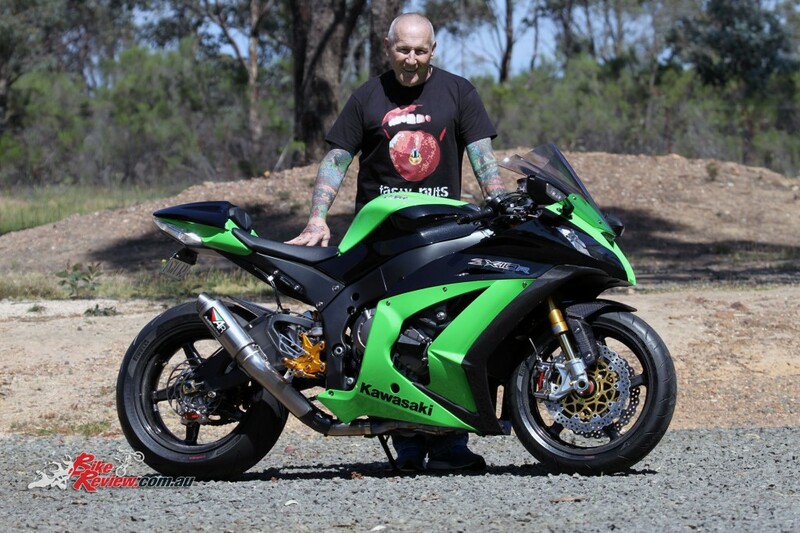 Having built a high performance, highly modified ZX-10R myself in the past, I can relate to Peter’s choice to leave the engine internals alone and focus on the chassis. With my own project, I tuned the engine quite heavily with camshafts, head work, increased compression, velocity stacks, a Bazzaz tuning system and a full RaceFit exhaust. 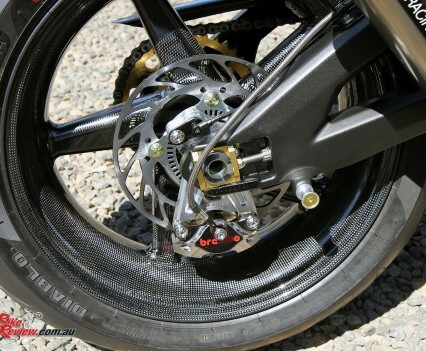 The bike was near on 190hp when finished and with the carbon-fibre wheels and other goodies, it was a wild ride. 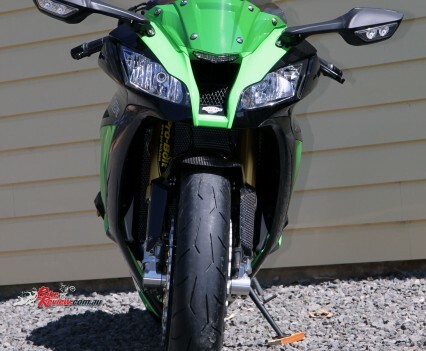 That angry engine was fun on the track but on the street it could be a pain in the neck. 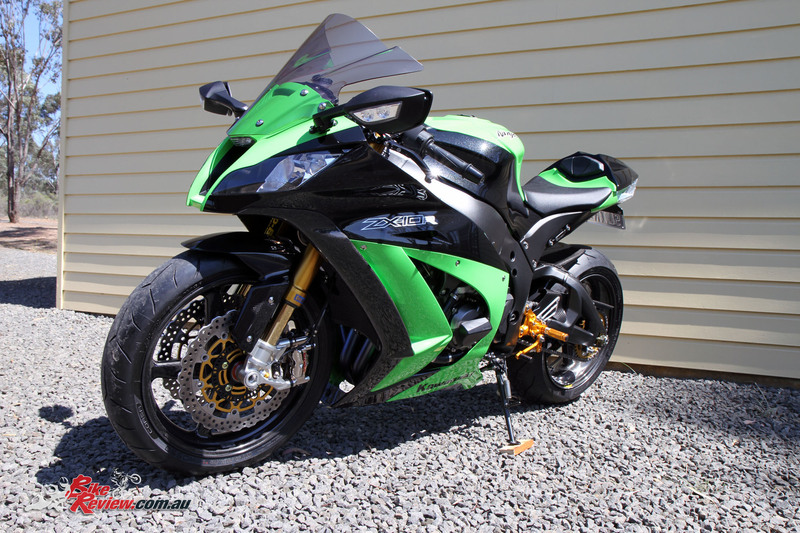 In hindsight I would leave the ZX-10R engine stock; such is the silky smooth power delivery and usability. 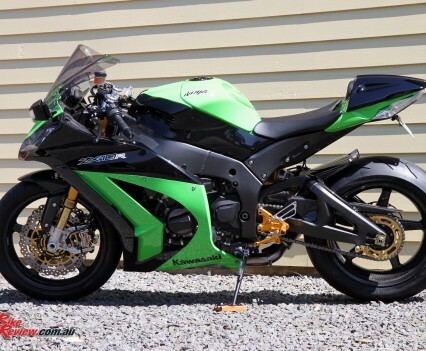 Combined with the traction control and ABS, the ZX-10R is a brilliant street sportsbike and incredibly good value for money. 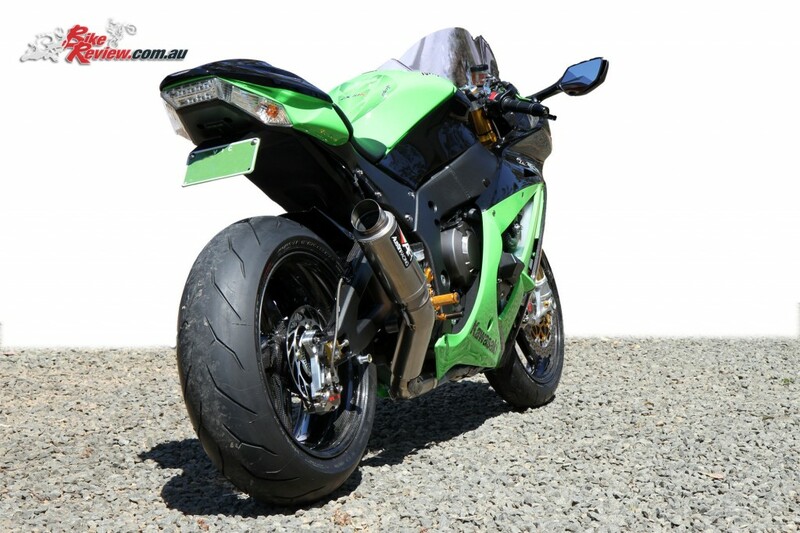 Peter’s ZX-10R is easy to overlook, apart from the carbon-fibre wheels, which are always a real eye catcher, but with over 30kg of weight lost this ZX-10R is a true weapon, and the standard bikes already had a well earnt reputation. 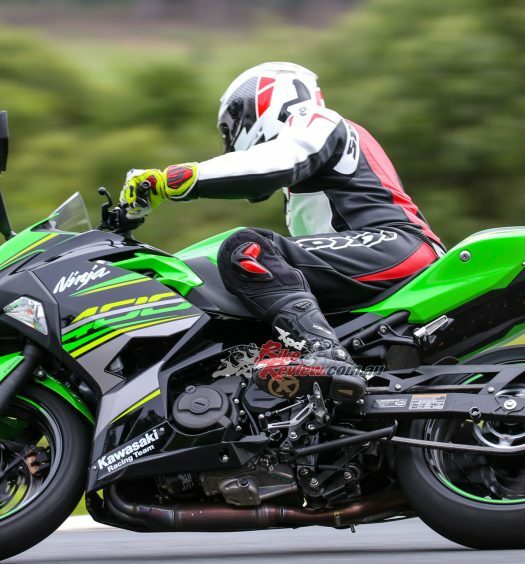 Weighing in on our scales at 204kg with a full tank and a bias of 104kgF, 100kgR, the ZX-10R is average weight for a 1000cc sportsbike. 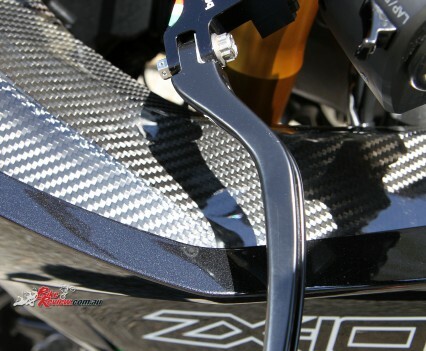 The BMW HP4 is the lightest inline four at 199.5kg, CBR next at 202kg, GSX-R follows at 206KG and the S 1000 RR is 208KG, still 8kg less than the porky YZF-R1 at 216kg, in 2013. 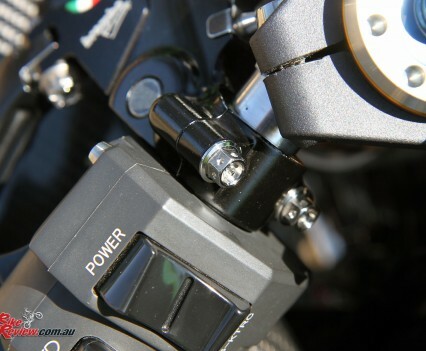 With the Ducati 1199 Panigale an impressive 192kg (all of these weights are with a full fuel tank), Peter had some work to do to get down below the Italian, incidentally the very machine he was planning on purchasing just before falling for the Ninja. 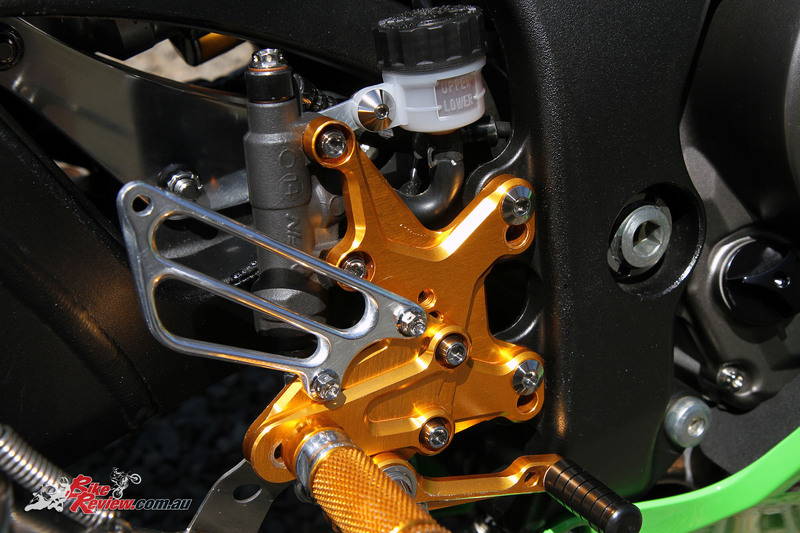 All frame hardware was replaced with titanium fasteners with an Ohlins TTX36 II shock with titanium pivot and linkage bolts as well as a titanium swingarm pivot. 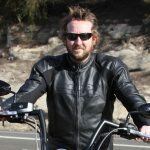 Peter has owned a huge range of bikes and has been riding off road and road for most of his life. 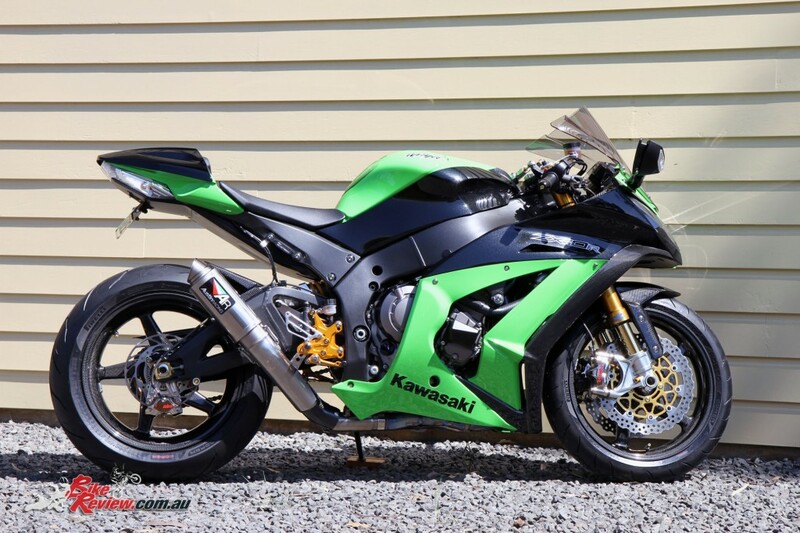 He bought this ZX-10R brand new from Mornington Kawasaki after great service from John Phelan. Once run in the PCV, BMC airfilter and Austin Racing cat-back went on. 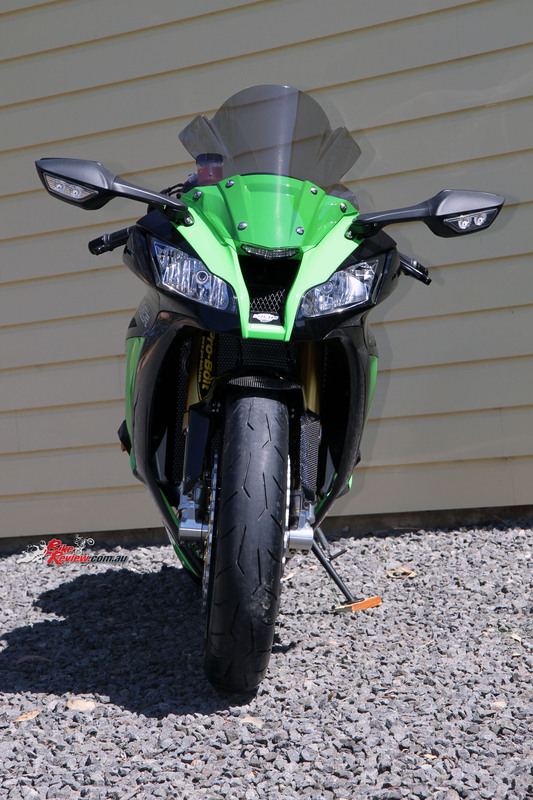 The bike was tuned by Mornington Kawasaki and measured a healthy 175RWHP. 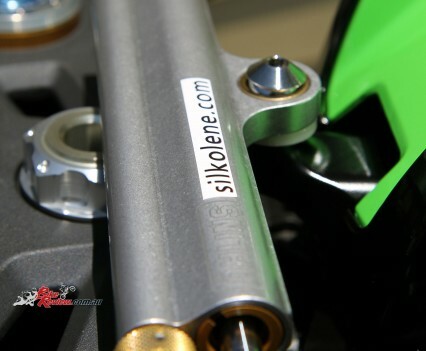 Aside from a Starlane quickshifter, block off plates, Dynojet O2 Optimiser, exhaust servo eliminator and Cheetah 100 octane fuel, the engine is stock. 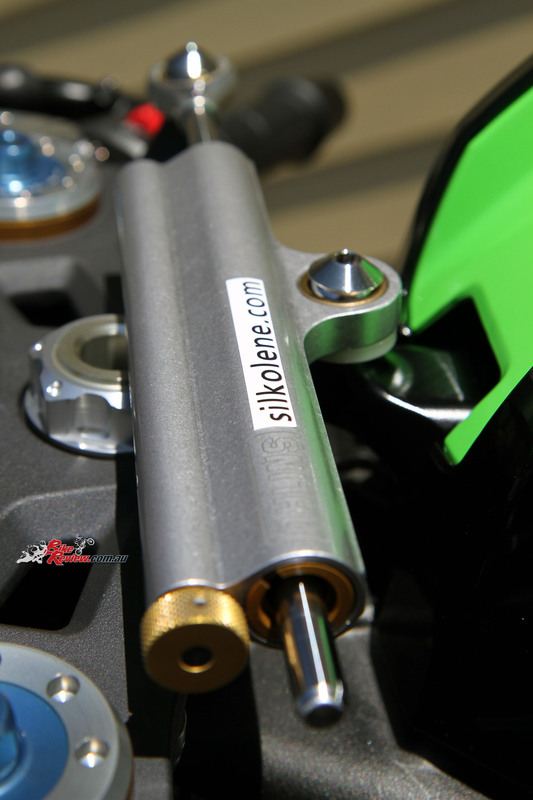 Peter runs Silkolene Pro 4 oil to keep his pride and joy perfect on the inside. 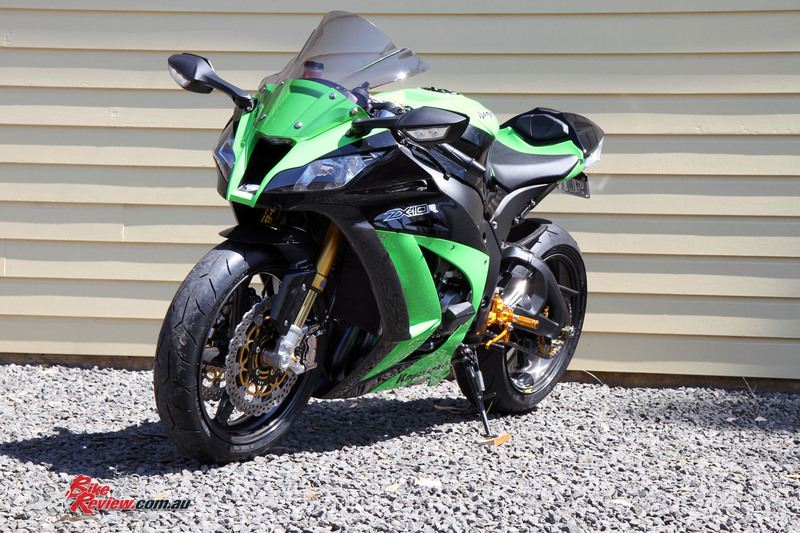 The Ohlins FGRT 43mm forks are a little easier to miss with the ZX-10R’s wide bodywork and brooding front end, but ensure a sweet ride, especially combined with the Ohlins rear shock, which is set up for Peter’s weight. 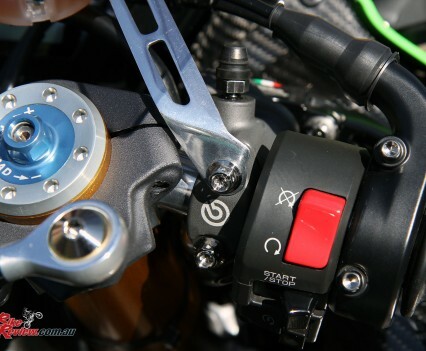 Enter Pro Bolt. 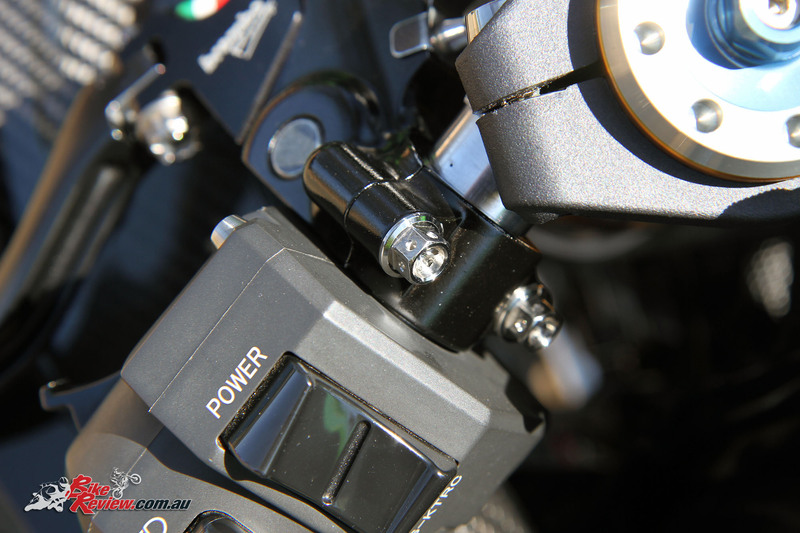 There would have been smiles all around when Pete pulled the credit card out at Pro Bolt – as he went nuts! No pun intended! 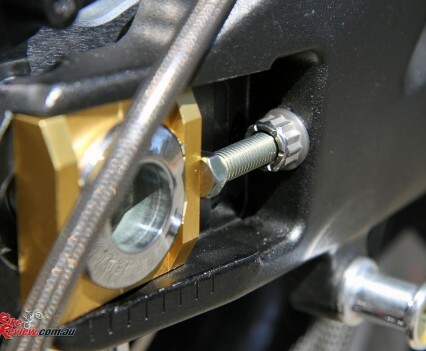 All engine case bolts were replaced by titanium fasteners, even the sump bolts. 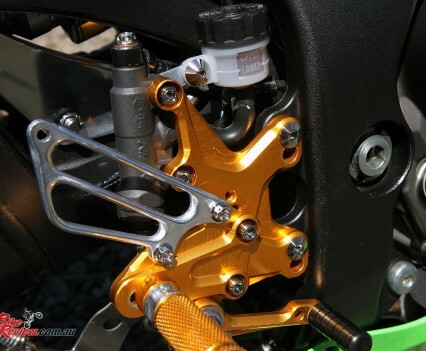 All engine mount bolts and nuts, the shock linkage bolts, swingarm pivot bolt, sprocket housing bolts and nuts, swingarm and drawbolts, race stand pickups, axle nuts, caliper bolts front and rear, triple-clamp bolts, rotor bolts, all bodywork fasters and all chassis fasteners were replaced with titanium. 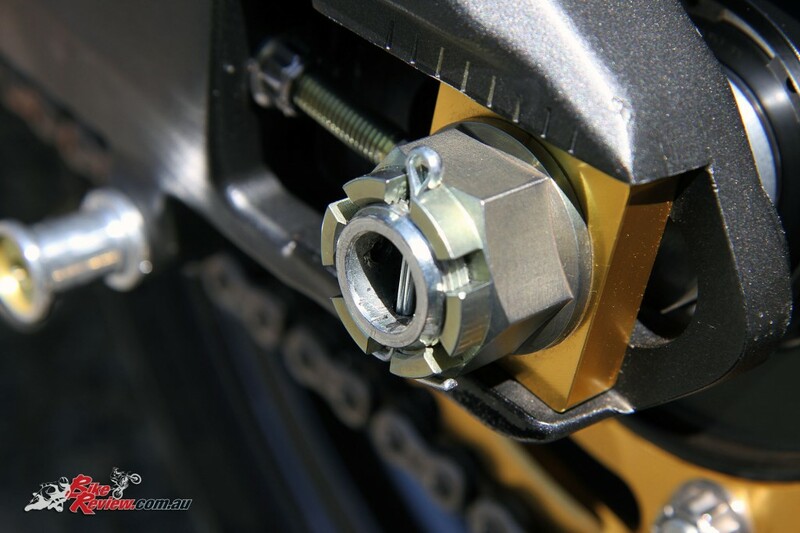 The level of detail to which Peter has gone in replacing nuts and bolts is astounding, as you’ll see from the lengthy list of Pro Bolt items. Even the switch block screws were replaced with titanium items! 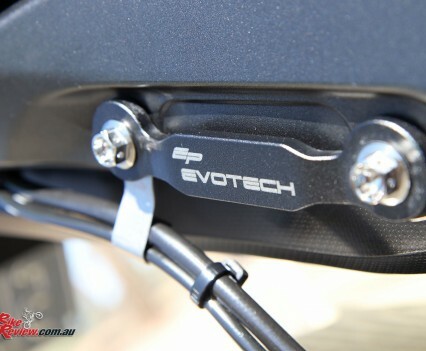 The shock mounts are also titanium as are the axle clamp bolts. 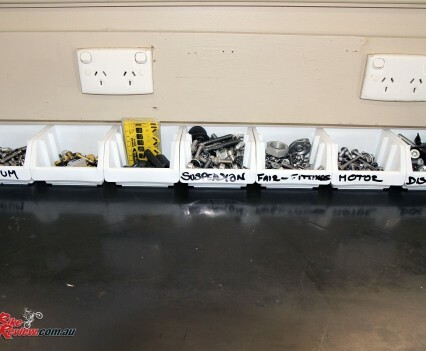 These were not kits – Peter meticulously measured and individually ordered the hundreds of fasteners required to do the job. 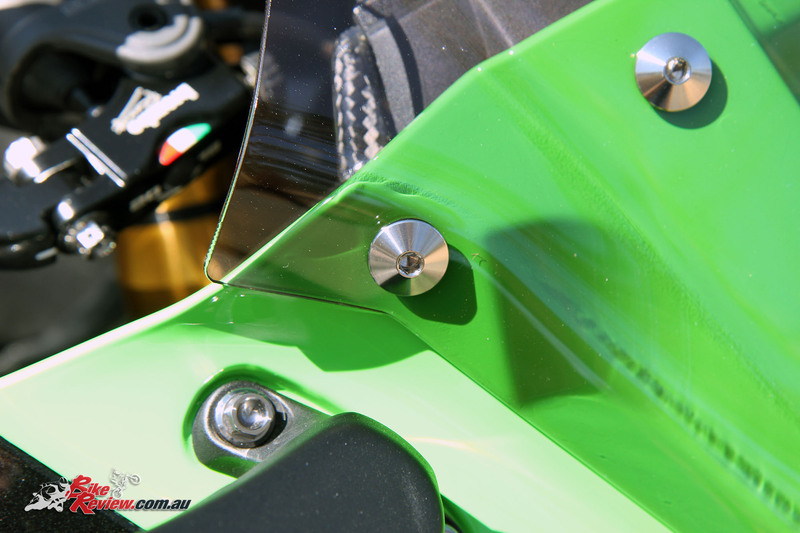 They are all racing specification fasteners – round head, multi head, drilled, the best of the best. 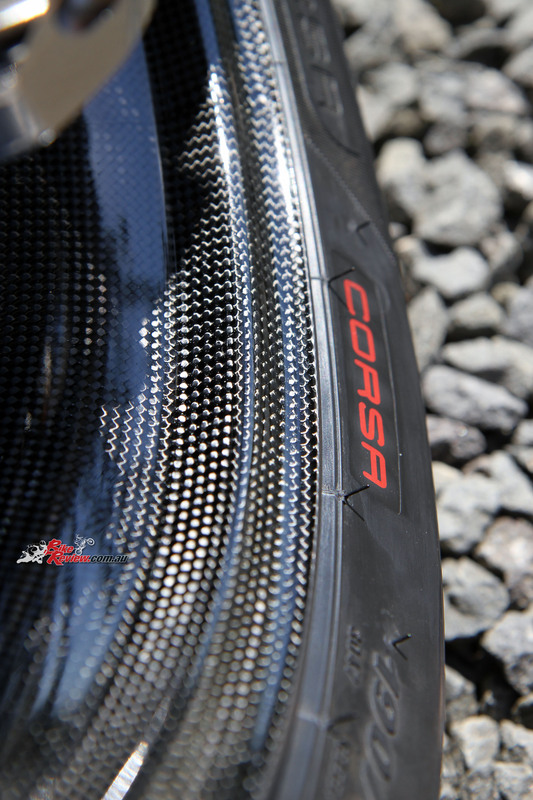 The wheels were replaced with Dymag carbon-fibre rollers wearing Pirelli Diablo Rosso Corsa tyres. 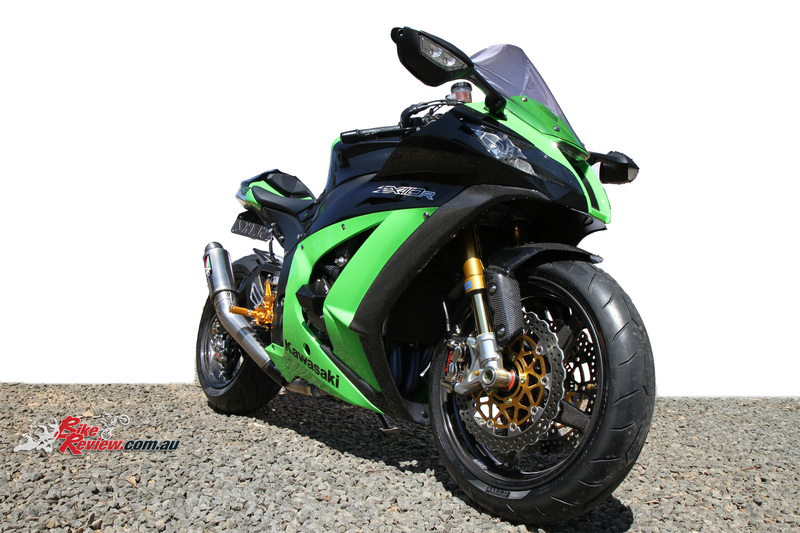 The front rotors are gold 2013 ZX-10R bought new OEM; the rear rotor is an Agras unit. 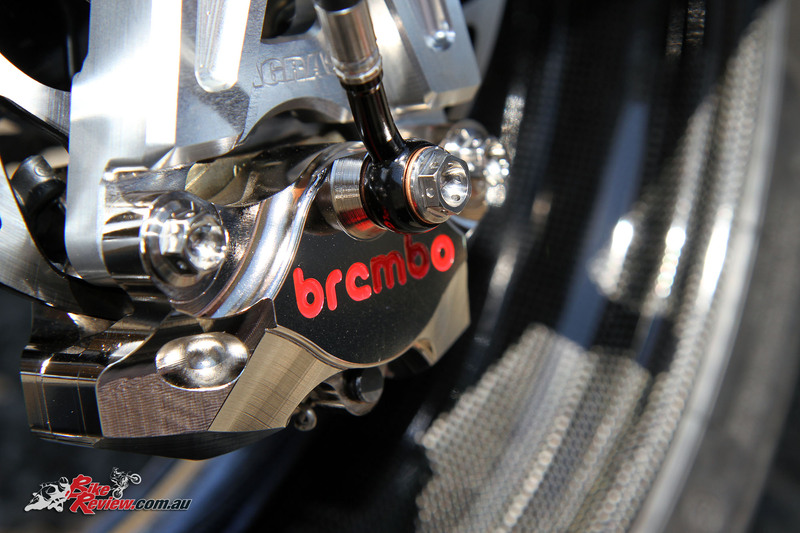 The brakes were replaced with Brembo nickel plated calipers front and rear, fed Silkolene fluid via Speigler ABS compatible brake lines and a front Brembo radial pull master-cylinder. 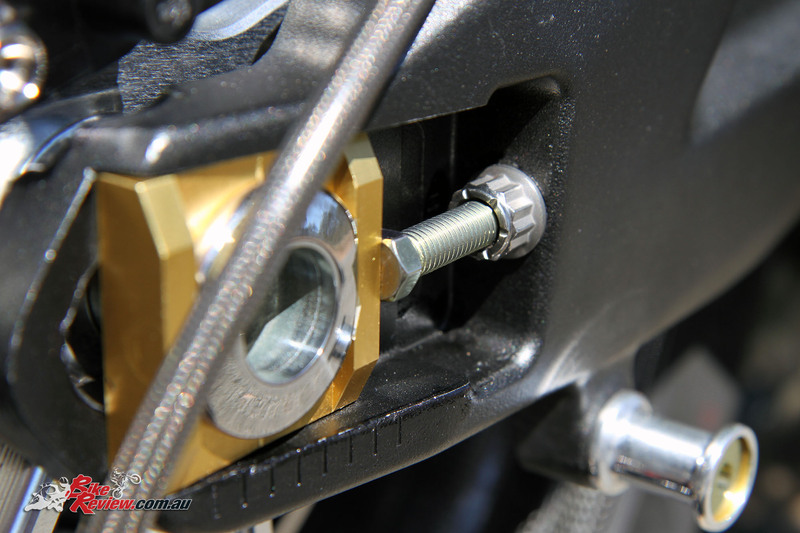 Even the banjo bolts are titanium! 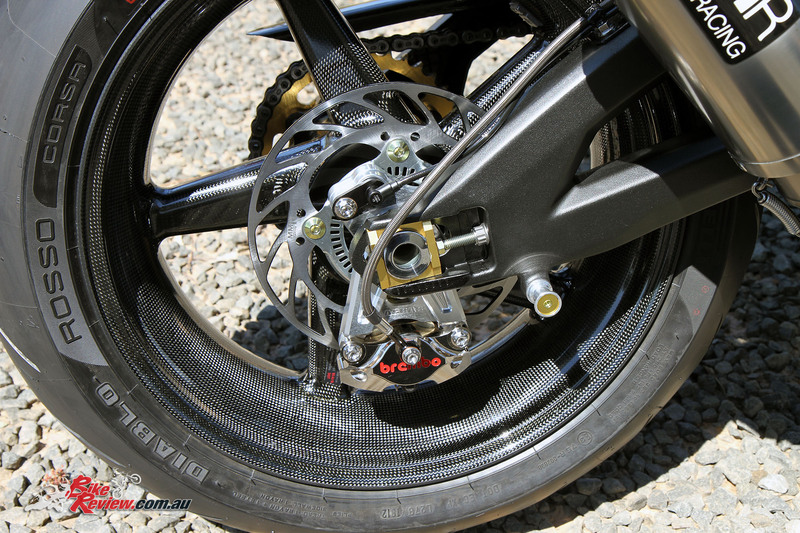 Dymag carbon-fibre wheels clad in Pirelli Diablo Rosso Corsa tyres are a stunning piece of kit, especially with the Mikey Moto rotor, Brembo rear caliper and Agras rear caliper support. 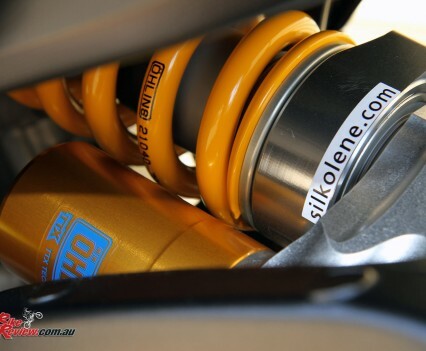 The shock was replaced with an Ohlins TTX unit set-up for Peter and the forks also got the flick in favour of brand new 43mm Ohlins FGRT forks pinched by you guessed it, titanium. 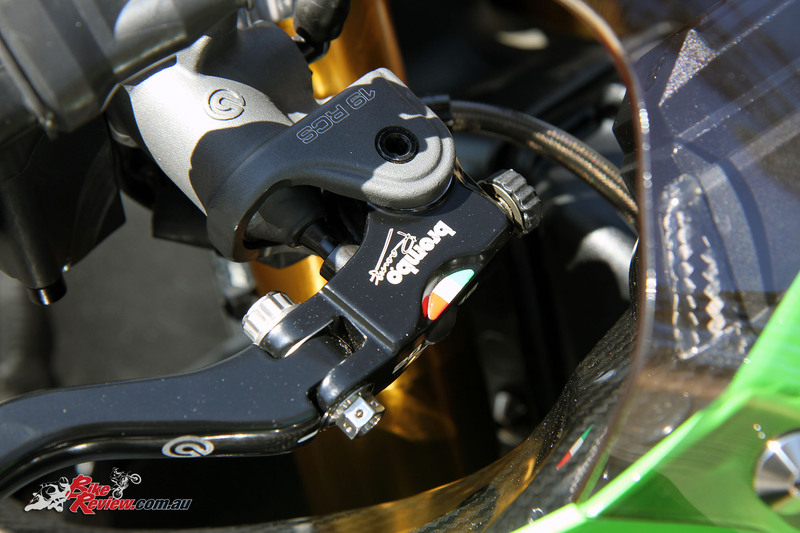 Brembo levers and Sato rearsets replace standard controls and a Shorai lithium lightweight battery fitted. An Evotech radiator guard was fitted then the bodywork went back on. 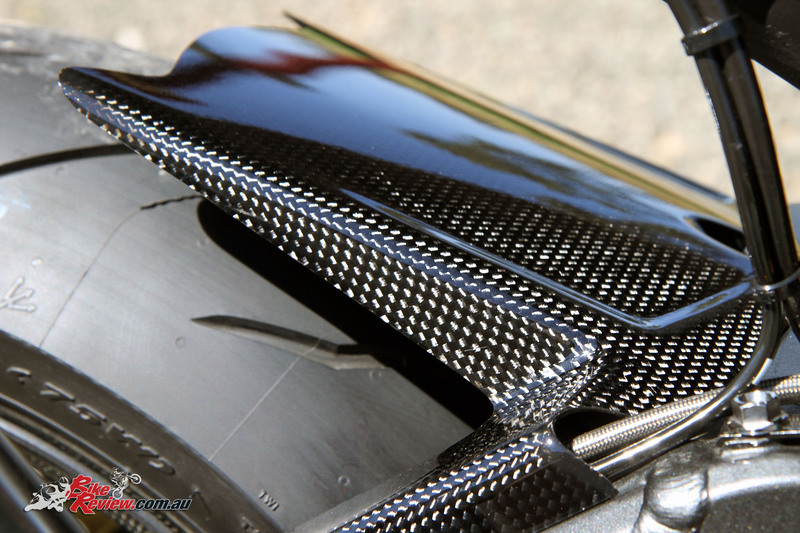 The dash surround, ram air tubes, front guard, rear hugger, chain guard and radiator spoilers were replaced with carbon-fibre and the fuel tank got a Vortex billet anodised aircraft-style fuel cap. 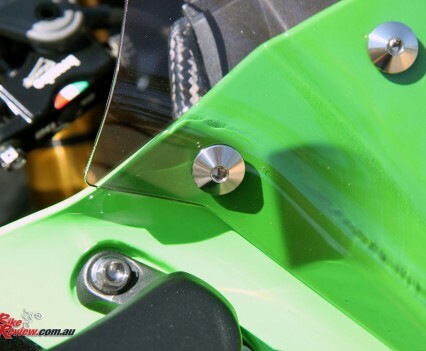 All bodywork was secured using titanium Pro Bolt fasteners of course! 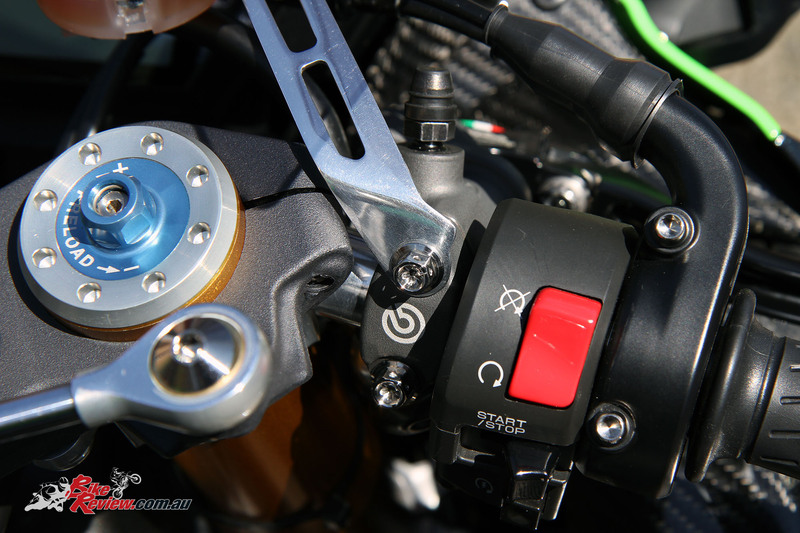 The Brembo master-cylinder is matched by a Brembo clutch perch and lever, while carbon-fibre cockpit infill panels further reduce weight. 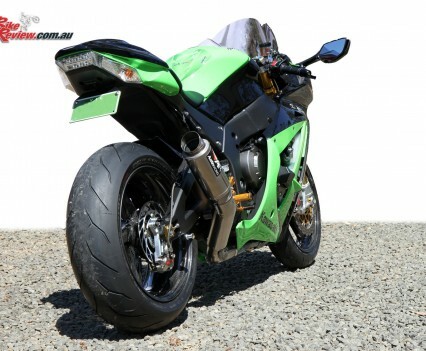 The result is a true 165kg motorcycle less fuel, a real accomplishment by Peter and a very expensive exercise. 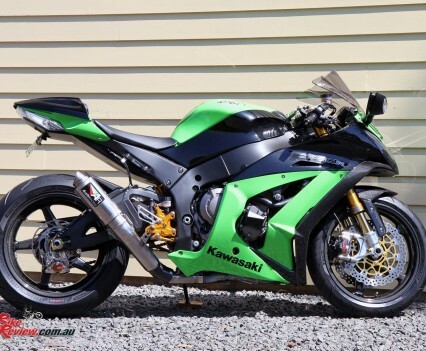 When prompted on the price, Peter simply said, “More than the original cost of the bike”… so we can assume over $20k in parts, making this possibly a $50k ZX-10R! No wonder he won’t let it get wet! 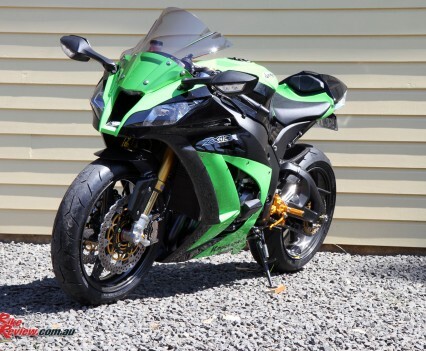 “The ZX-10R has an amazing performance base to start with,” admits Peter, “My goal was to have it running nicely and lose the restrictions and then reduce all practical weight. “I didn’t count the hours I’ve put into the project but it has definitely been a labour of love”. So we ask the big question, would he do it again and was it worth the cost? 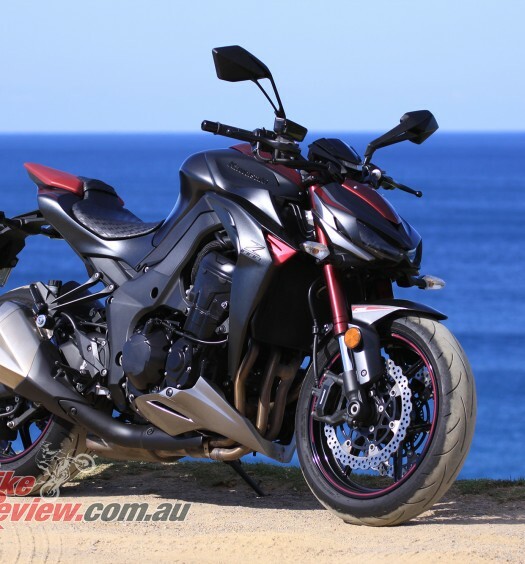 Peter is justifiably proud of this amazing machine, and while it’s a subtle custom machine, the increase in performance offered by a 30kg reduction in weight is staggering, especially on such a sporty machine. 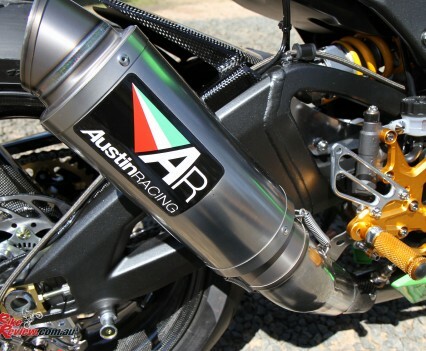 Inline four cylinder, liquid cooled, DOHC 16-valve, 998cc, 13:1, 76mm x 55mm bore & stroke, EFI with 47mm throttle-bodies and oval sub-throttles, wet slipper clutch, Power Commander PCV, Dynojet 02 Optimiser, exhaust servo eliminator, BMC airfilter, Austin Racing 50mm titanium cat-back pipe, stock headers (titanium), Cheetah JFP100 race fuel, Starlane quickshifter, all engine case bolts are titanium Pro Bolt, Silkolene oil, Shorai lithium battery. 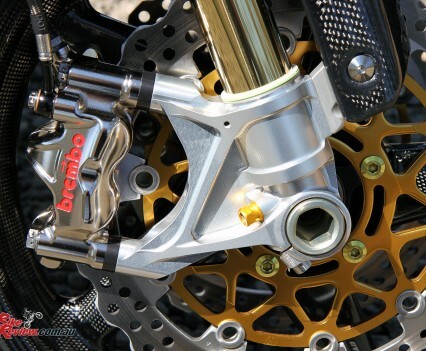 Brembo 6P4RX Nickel plated radial-mount calipers with titanium bolts, Brembo pads, and 2013 gold ZX-10R rotors. 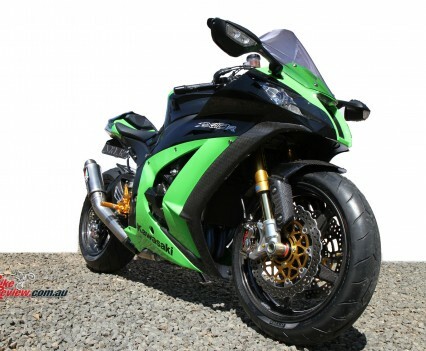 175RWHP, 160kg without fuel – 48kg less than standard ZX-10R with a full tank, which we weighed at 208kg! 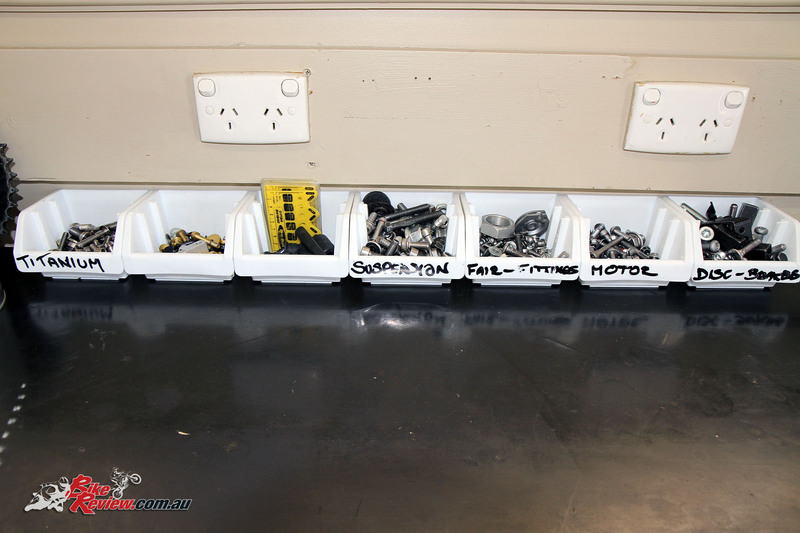 When you’re switching every bolt imaginable to a super light weight titanium option from Pro Bolt – often to race spec for lockwiring and weight – there’s no full kits, with Peter measuring the vast majority of bolts and nuts to ensure he was getting the right replacement items, and with titanium a mistake is an expensive one! 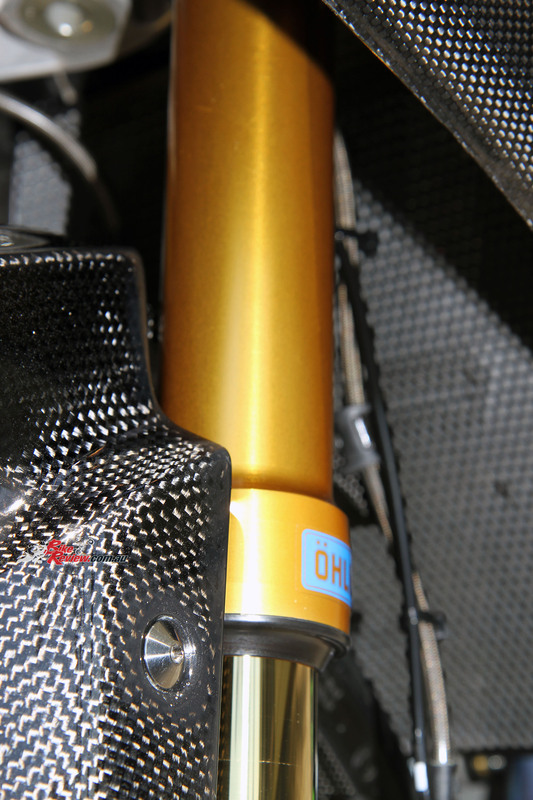 Ohlins TTX36 II shock with titanium pivot and linkage bolts. 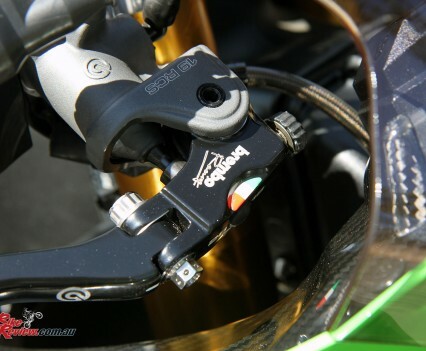 Brembo rear caliper, Mikey Moto rotor. 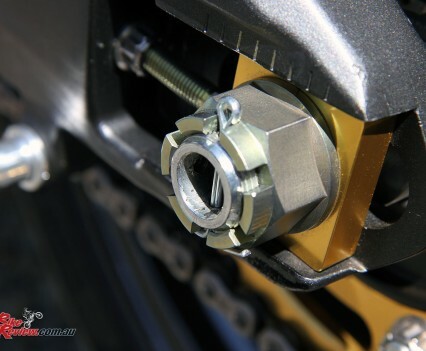 All switchblocks are standard with titanium bolts. 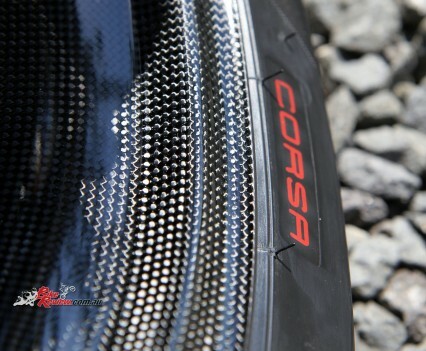 Dymag carbon-fibre wheels, Pirelli Diablo Rosso Corsa tyres. 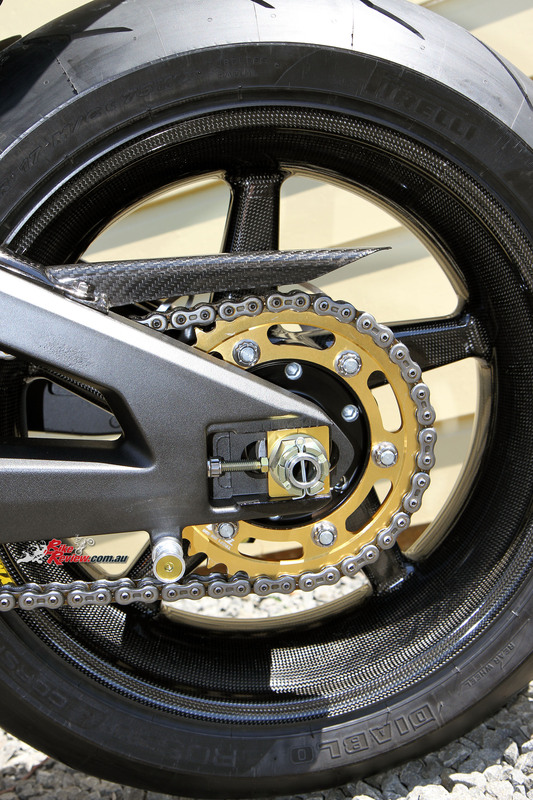 Carbon-fibre guard, all Pro Bolt titanium rear sprocket bolts, Talon alloy rear sprocket. 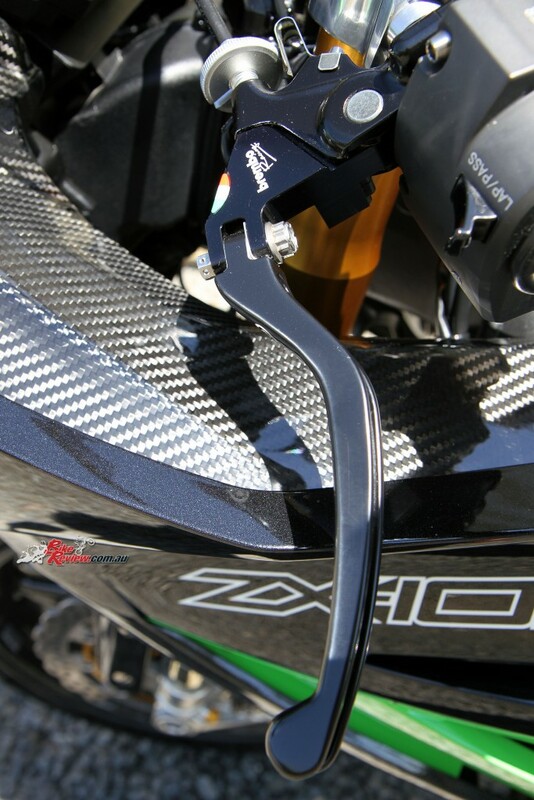 Titanium Pro Bolt fairing and screen bolts. 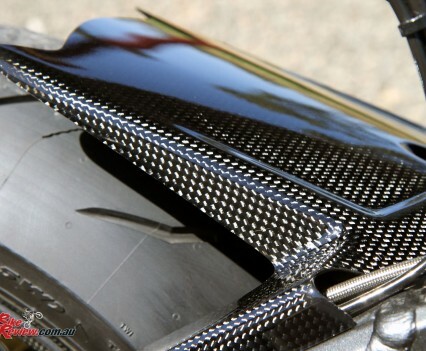 Brembo lever, carbon-fibre cockpit infill panels. 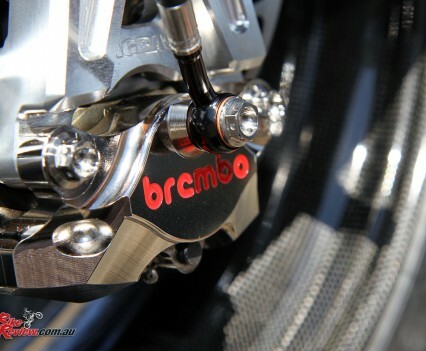 Brembo RCS19 master-cylinder, Brembo reservoir, Speigler ABS compatible brake lines, titanium banjo bolts. 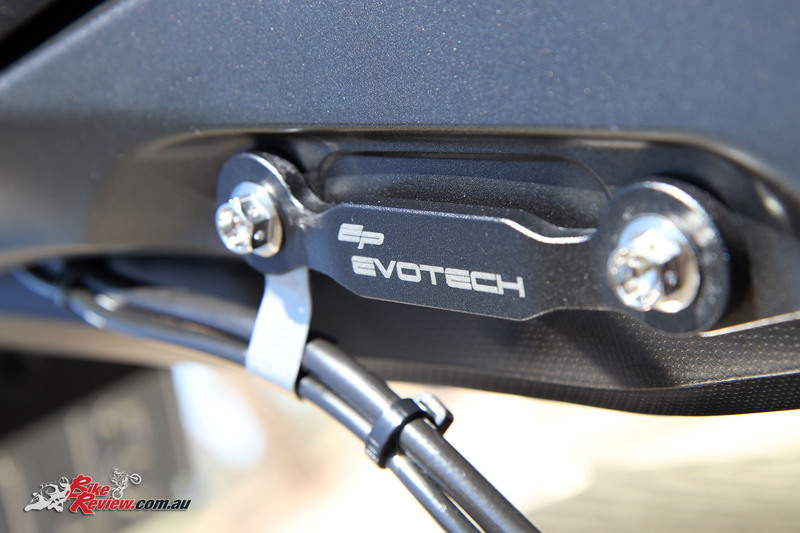 The Evotech radiator guard joins Evotech block-off plates. 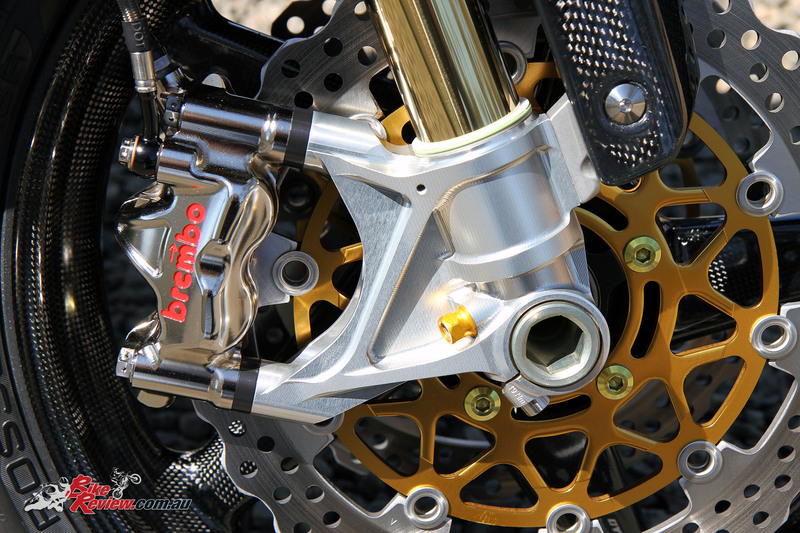 Brembo 6P4RX Nickel plated radial-mount calipers, Brembo pads, 2013 gold ZX-10R rotors. 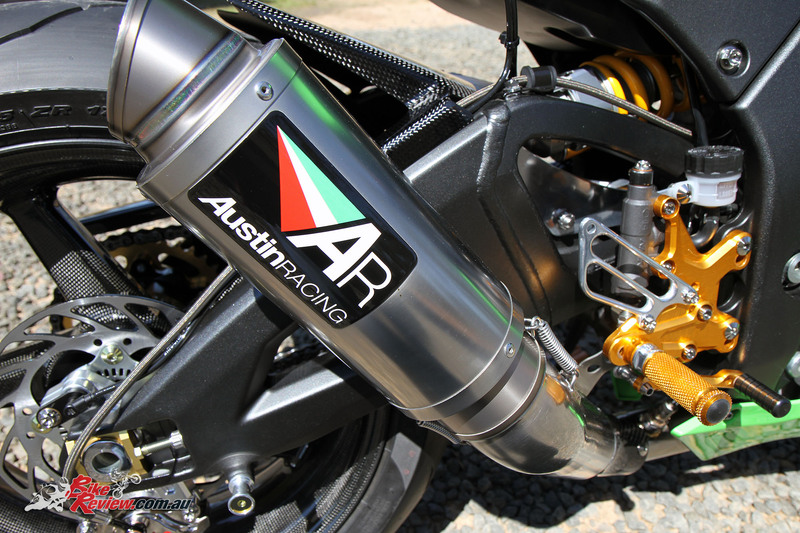 Austin Racing 50mm titanium cat-back pipe and muffler. 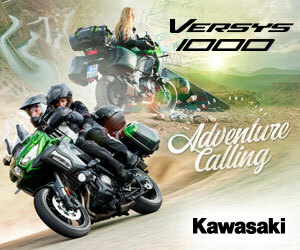 A really fantastic motorcycle. But 160 kg without gas? No way! 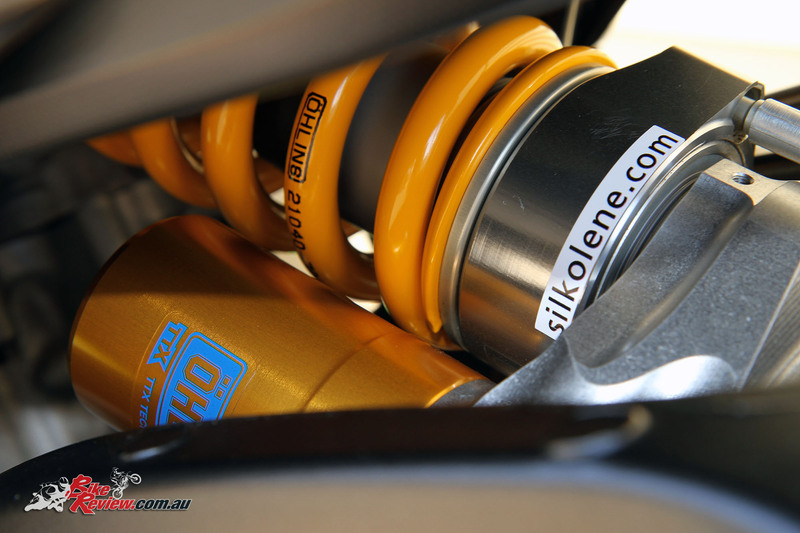 It takes much more than just Dymag wheels and titanium parts. 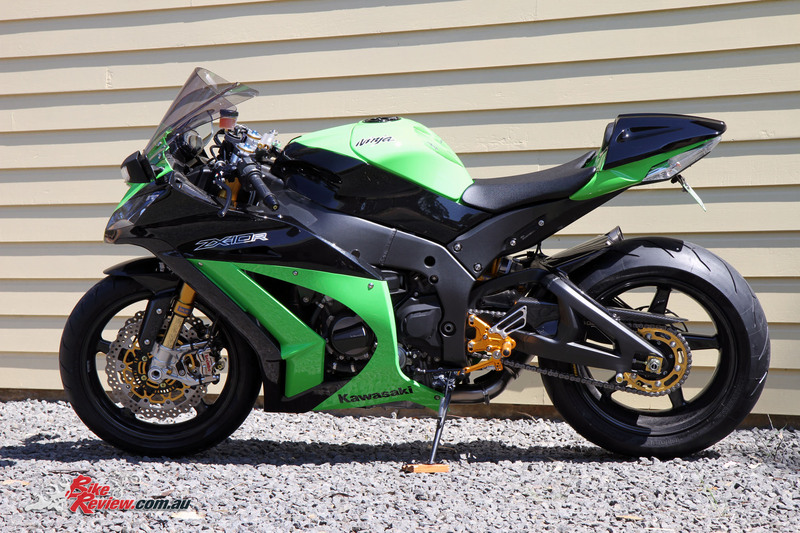 My 2004 ZX10R has Dymag wheels, lots of carbon parts, a 520 chain with aluminum sprocket and a lithium battery. 188 kg full tank. 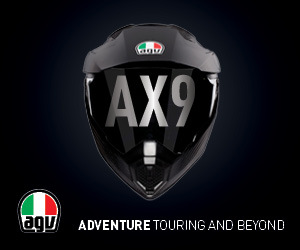 This means 188 kg minus 12.5 kg for 17L petrol = 175.5 kg without gasoline. Another 15 kg only with titanium parts? That would mean replacing 30 kg of steel screws with titanium. I can not believe it. 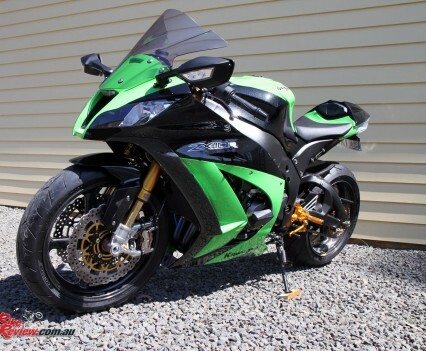 But, a really nice ZX10R. 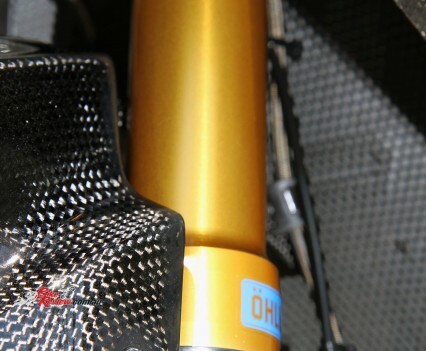 Hey Joerg, there’s also the exhaust and EXUP removal, which would be a fairly hefty portion of that 15kg difference, plus the weight differences with the up-spec suspension and braking components across the bike.